Though perhaps not as well-known a fact as wine or beer origin, cheese too is distinctive by country. The French, of course, are known for producing and consuming a large amount and variety of cheeses. Roquefort and Brie are household names, even though their places of origin may not be known to many. The cheeses are named after towns of the same name. Yet, the French are neither the largest producers, exporters, nor consumers of cheese. The largest producer is, not surprisingly, the U.S., which makes over 4.3 million metric tons per year. The largest exporter is Germany though France exports more by monetary value. But the largest consumer prize goes to... Greece. The average Greek consumes over 27kg (59 lbs) per person per year. But quantity isn't the only, nor perhaps the best, criteria for judging cheese by country. All the great names of cheese share equally in being fine producers. The Swiss have their Emmentaler and Gruyère better known in the U.S. as simply 'Swiss cheese', the English their Cheddars after a town in England, but now among cheese professionals a method of cutting. The Greek's are well known for a great goat's milk cheese and also Feta, which is made from sheep's milk. The Germans, though their products' names - Harz and Mainze - may be less well-known, are in the top echelon. Not only do they produce 1.9 million metric tons per year second only to the U.S., and export huge quantities (2.4 million tons), but they are the largest importer as well. Apparently, Germans simply can not get enough of fine cheese. Belgium may be small, but the country is a giant in the cheese world. Limburger, which hails from there, is known the world over. The smell may or may not appeal to everyone, but the taste is enjoyed by cheese connoisseurs everywhere. The Netherlands can proudly boast of a native cheese, the great Gouda. Much of their over 2 million metric tons of annual production exported to eager consumers around the world is of this type. Small wonder, considering they've done so since the Middle Ages. The buttery concoction is likely to continue to be a world favorite well into the future. The Italians are famous for much great art. While perhaps not the equal of Michelangelo, the great cheese-makers who create a fine Parmesan or Grana can be equally proud of their creations. Aging for three years or more, these hard cheeses are second to none in taste. 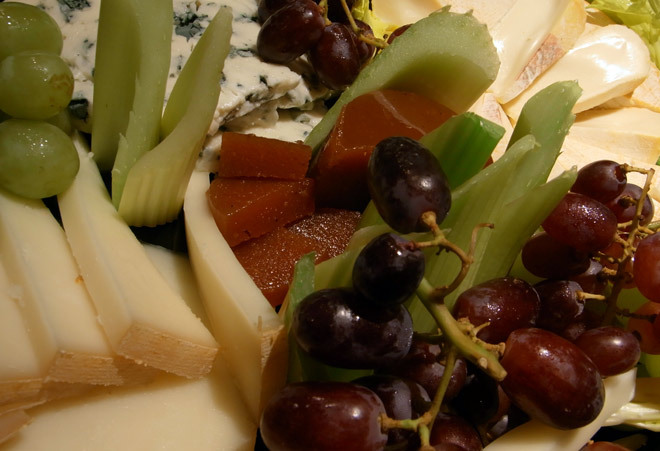 The U.S. has few native cheeses, being a melting pot of other cultures from around the world. But it can lay claim to being among the most appreciative of the stellar creations generated by the sons and daughters of immigrants to its shores. Wisconsin Colby may have its origins elsewhere, but no one does it better. Around the world this magnificent product - whose yearly production outstrips coffee by a wide margin - is savored by any bon vivant with a taste for a fine food. There are a great many kinds of cheese in the world, a tribute to the inventiveness of cheese artists. There is no single way to categorize all the types of cheese, and taste is individual, but there are some simple rules about how to judge a fine cheese. You can go on a wide cheese discovery trip, or say cheese in Europe with Gruyère, a Swiss masterpiece, English cheese, or the French Camembert and Brie. Some people cannot tolerate well some of the ingredients in cheese. Others look for an alternative with less fat with all the benefits of real cheese. It is possible to obtain these benefits with cheese substitutes.